As we predicted a few months ago, most of the BMW models will receive a major iDrive upgrade starting this summer. From July 2016, nearly all models with the navigation system installed will receive a new display with a higher resolution and a revised software. The menu will no longer be designed in the form of a list of mutually arranged menu items, but rather feature the more modern tile design with adjacent symbols as seen in the new G01/G02 BMW 7 Series. 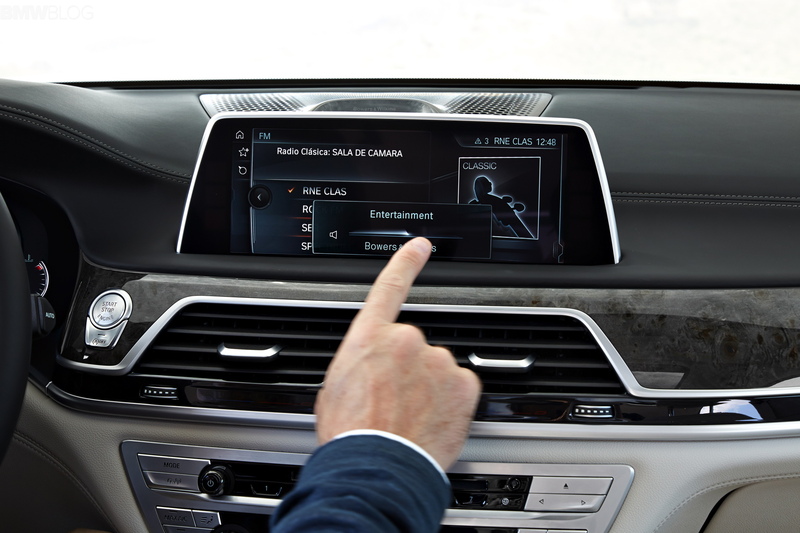 The iDrive update will apply to the 1, 2, 3, 4 and 6 Series, as well as to the X5 and X6 SUVs. The smaller and currently very successful BMW X1 F48, and the 2 Series Active Tourer and Gran Tourer apparently still have to wait a little longer for the new fancy system. The BMW X3 and X4 have already received the same update and the first deliveries will take place this month. All the above models can also be equipped with the new optional equipment “Telephony with Wireless Charging.” Smartphones, which are suitable for inductive charging, can then be wirelessly recharged in a mobile phone storage in the center console area. Optional equipment also includes a Wi-Fi hotspot, which supplies up to eight devices with high-speed Internet.